NGC 6882 /NGC 6885 are open clusters in the constellation Vulpecula. There is considerable discussion in the literature as to whether one is superimposed on the other as separate clusters, or if they where accidentally duplicated in the original 1784 observation. 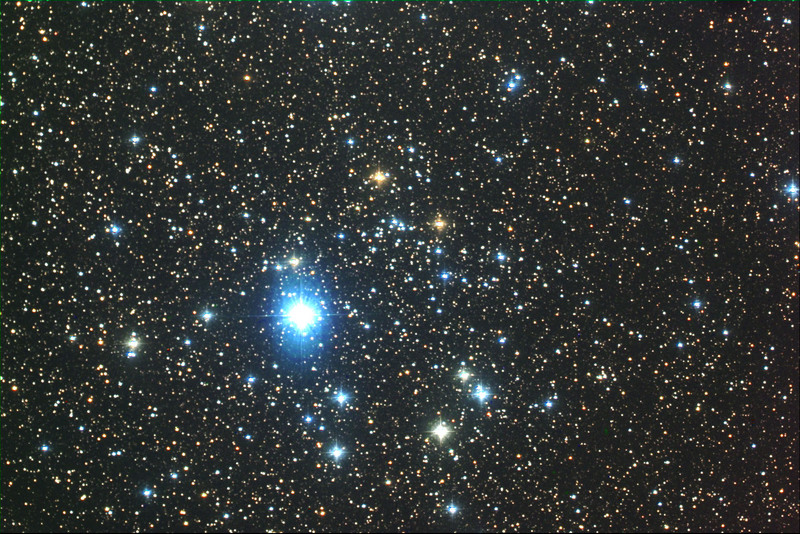 The bright foreground star, 20 Vulpecula, does not belong to the cluster.